Sometimes it seems impossible to believe that one will ever be ready to leave for a holiday but it always seems to fall into place, often at the very last moment. And so it was on this occasion even though I managed only a few hours of sleep before the alarm startled me into action and my good friend, Peter, came at the unearthly hour of 3.50 am to transport me to the airport! By then, of course, whatever hasn’t been done won’t be done until I return but I’m hoping that, as the days go by, whatever ‘that’ was isn’t going to matter very much. Although it’s not very patriotic, I really love flying Qantas. It seems years ago that I bought life membership of the Qantas Club and it’s proved to be money very well spent. I notice that this facility is not being offered any more, possibly because travellers like me have lived for too long for it to have been economic for the airline. But it does mean that being early for a flight never bothers me because I’m allowed to check in First Class, even though I’m flying Economy, and can enjoy the Business Lounge and relax in very comfortable armchairs with access to an endless supply of food and drink which, of course, I didn’t need at 4.30 am! As it happened, it proved invaluable at Sydney because the onward flight was delayed for an hour. Sydney airport is a very attractive environment with colour and lights everywhere. It was heaving with people and felt exciting and vibrant. Both the flight to Sydney and the onward flight to Singapore were extremely comfortable and the flight attendants were attentive and helpful. The movies were good too and, although both were daytime flights, I found that I kept nodding off for short power naps so I wasn’t too exhausted when I arrived until I reached passport control at Changi Airport which was painfully slow and the crowds just grew and grew! I was met by my very good friend, Alwyn. Alwyn’s partner, Anna, flew in just half an hour later from Shanghai which was all very convenient so he was able to sweep up both of us quickly and easily. Having been travelling door to door for almost 24 hours it was great that it was (well past) my bedtime and they insisted that I disappear immediately into a shower and bed and leave all chats until the morning. After a magnificent sleep of over nine hours, I looked out of my bedroom window and saw how high up we were on the 20th floor with a view of the ocean through an assortment of other apartment high risers. This visit was not designed for sightseeing or visiting new and exciting things that I haven't seen on previous visits. 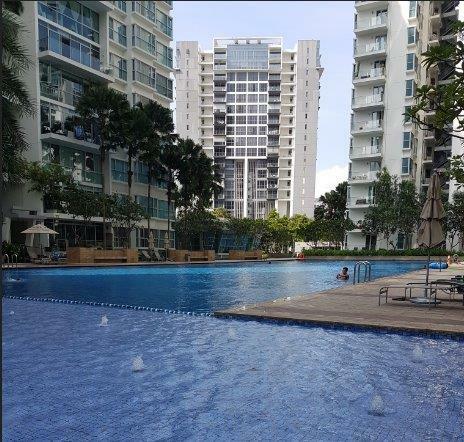 It was designed for a serious chill out and catch up with long conversations and time spent absorbing each others company. 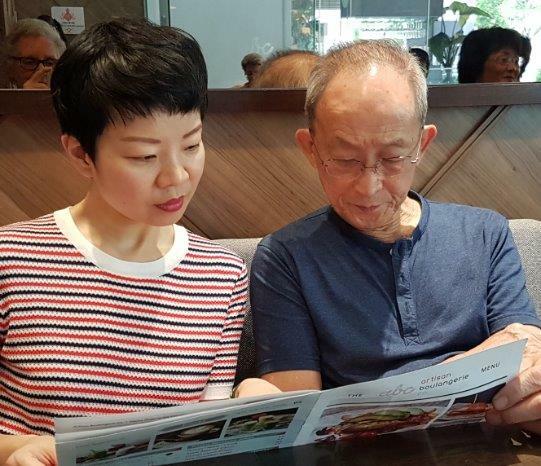 Both Alwyn and Anna are very well read and travelled and I found myself learning so much more about their cultures, their view of the world from an Asian perspective, about economies, future possibilities, the effects of past decisions on current and future outcomes and so much more. Sitting at their feet was a great experience! So we spent a very relaxed Friday, chatting about every subject under the sun, reminiscing about past holidays together, walking out to a light lunch (pity I managed to photograph myself in the mirror behind their heads!) and generally relaxing in every way. It’s great to be with friends who slot you into their lives as if you’ve never been apart and we spent a very happy first day together. 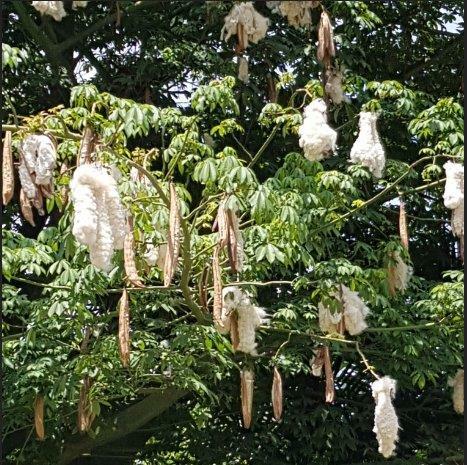 On the way back from the restaurant I was completely amazed to see this cotton tree which looked exactly as if someone had tied lambs tails up in among the leaves. But Alwyn assured me that it is a real tree and it's called a Hyacinthus. Saturday being a weekend day meant that my daughter-in-law, Jan, was available and she invited me over for a play date with 3-year-old Cameron! What fun we had. It’s rather like spending time with a fire hydrant on full throttle. He asks so many questions, discusses, negotiates, challenges, and comes out with some hysterical observations that made us laugh out loud. Fortunately I’ll be able to see much more of both he and Jan on the way back through Singapore at the end of the month when Adam will be home too and I’m really looking forward to renewing the relationship. After I’d been with them for about an hour, he went off for a nap and asked if I’d still be there when he woke up. I assured him that I would. He fixed me with a very stern expression and said, ‘Don’t go!’ And the pleasure we had when he woke, made me very glad I’d obeyed! We’d arranged to meet Alwyn, Anna and Alwyn’s grandson from Nice for dinner, so we left Cam in the capable hands of Marg and set off to the Tanglin Club. We had a lovely evening and a beautiful meal and I was great to be able to introduce Jan to two of my very special friends and them to her. Time was rushing past and there were still so many things to talk about. On Sunday we set off to walk to a nearby mall to have lunch with one of Alwyn’s daughters, Jane, her husband and two small boys. 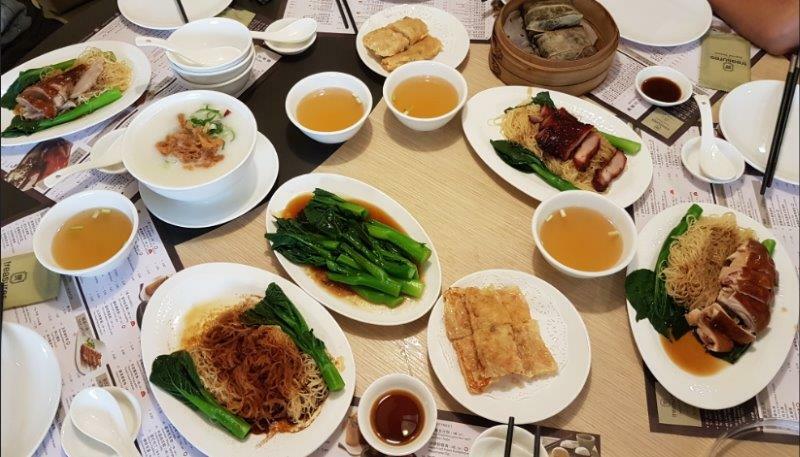 I had nothing to do with ordering the food but everything they chose was delicious and, although Alwyn offered me a fork I persevered with the chopsticks and didn’t go hungry!! They had some errands to run so I took myself off for a reflexology and foot massage and found myself at the end of a long line of seven masseurs who were working very hard. With the prospect of a long flight tomorrow, it seemed a good idea to indulge. My masseur was very skillful and, although it was a touch painful at times, my feet felt seriously refreshed after the experience and I was secretly glad that I don’t live in Singapore or I might find myself going regularly! Unfortunately I hadn’t thought to pack my togs because I didn’t think I’d be anywhere near a pool during my weeks away. Alwyn had been living in a different apartment the last time I had visited and I wasn’t aware that this glorious facility was available for all the residents of his new apartment complex. I’ll know better next time! 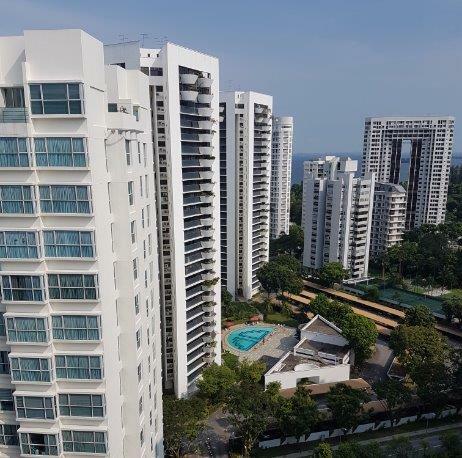 And so my wonderfully relaxing few days in Singapore was coming to an end, but not before we had spent some time over a very protracted breakfast, planning their next visit to New Zealand in March 2019 for a journey around the South Island with lots of opportunities for walking trips. In the middle of my last afternoon, Alwyn decided to educate my taste buds with some of the fruits native to Asia. 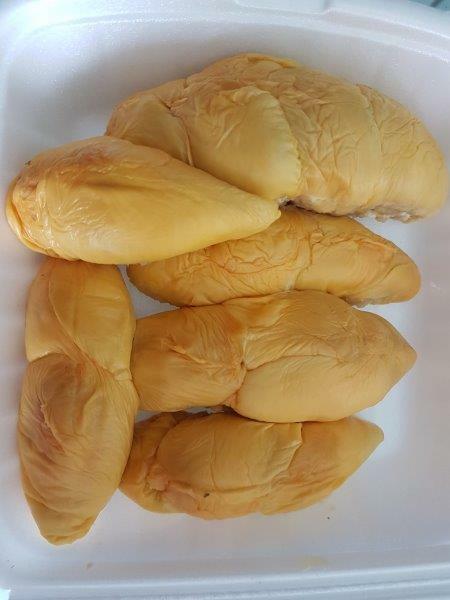 Firstly he introduced me to the Durian, regarded by many people in Southeast Asia as the 'King of Fruits', a label that can be attributed to its formidable look and overpowering smell. It's distinctive for its large size, strong smell, and formidable thorn-covered rind. The fruit can grow as large as 30 cm long and 15 cm in diameter, and it typically weighs one to three kgs. Its shape ranges from oblong to round, the colour of its husk green to brown, and its flesh pale yellow to red, depending on the species. 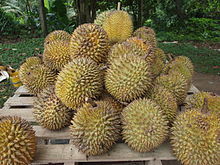 Some people regard the Durian as having a pleasantly sweet fragrance, whereas others find the smell totally overpowering. The smell evokes reactions from deep appreciation to intense disgust, and has been described variously as rotten onions, turpentine, and raw sewage. You can imagine, then, that Alwyn and Anna waited with bated breath for my first tasting. The sight alone was a little off-putting, resembling under-cooked bread rolls but I was actually quite pleasantly surprised. Although the smell as the fruit approached my nose and mouth was not entirely pleasant, the taste as it reached the back of my throat was custardy and warm. I admit that I had more than one! 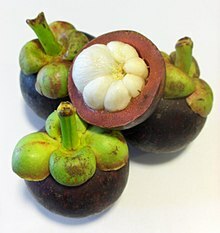 If the Durian is regarded as the King of Fruits, the next offering was the Mangosteen. There is a legend about Queen Victoria offering a reward of 100 pounds sterling to anyone who could deliver to her the fresh fruit. 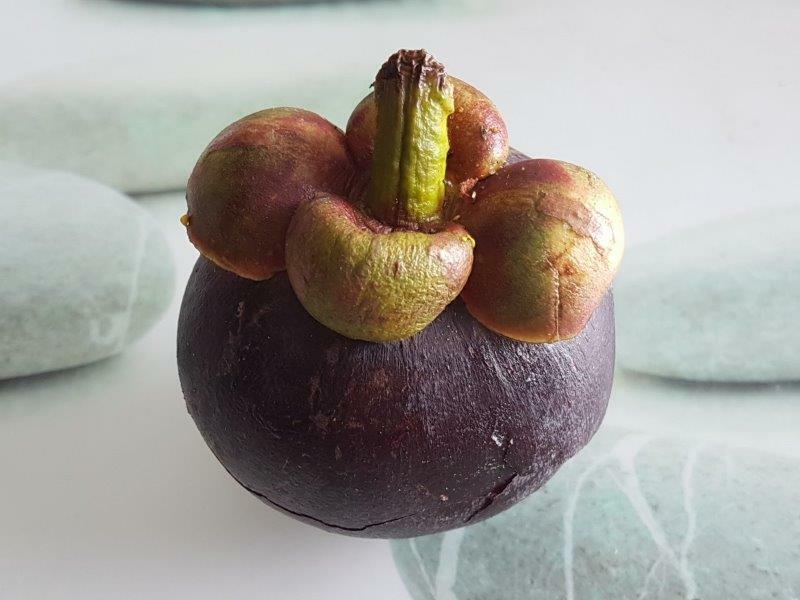 Although this legend can be traced to a 1930 publication by the fruit explorer, David Fairchild, it is not substantiated by any known historical document, yet is probably responsible for the uncommon designation of Mangosteen as the 'Queen of Fruits'. Since 2006, private small-volume orders for fruits grown in Puerto Rico were sold to American specialty food stores and gourmet restaurants who serve the flesh segments as a delicacy dessert. I found the fruit really delicious. 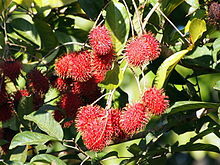 The final test was the fruit of the Rambutan tree. This is another plant native to Southeast Asia. 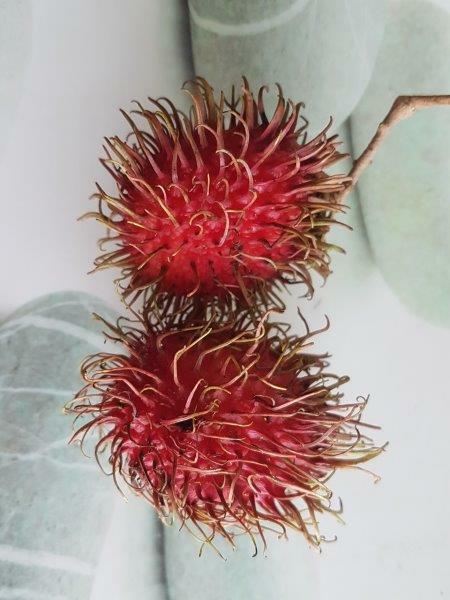 Highly valued for its juicy, delicate texture and slightly sweet and sour flavour, the Rambutan has been cultivated in Malaysia, Borneo, Sumatra, Mainland Southeast Asia, and the Philippines since ancient times. The fruit is a round to oval single-seeded berry, 3–6 cm (rarely to 8 cm) long and 3–4 cm broad, borne in a loose pendant cluster of 10–20 together. The leathery skin is reddish (rarely orange or yellow), and covered with fleshy pliable spines, hence the name, which means 'hairs'. The fruit flesh is translucent, whitish or very pale pink, with a sweet, mildly acidic flavor very reminiscent of grapes. To me there was a strong likeness to lychees, although not as slippery, and it, too, was very moreish! The experience of not just tasting but seriously partaking of all three of these delicious fruits will leave a lasting memory of my last day in Singapore. After all this gourmet eating, it was time to pack and Alwyn kindly took me to the airport (which is fortunately only ten minutes away) for a midnight flight to London Heathrow and all the adventures that await in England. Original generation time 1.6889 seconds. Cache Loaded in: 0.0449 seconds.